SUNNYVALE, Calif., Oct. 19, 2016 — Full Spectrum Inc., a leading supplier of private cellular data networks for utilities and other mission critical industries, today emphasized the increased importance of private wireless networks for utility providers defending against cyber attacks that could stall their operations and potentially bring down portions of the U.S. electrical grid. The U.S. electrical grid today consists of approximately 55,000 transmission substations, 642,000 miles of high-voltage lines and 6.3 million miles of distribution lines. The grid is now undergoing a revolution due to the introduction of distributed energy resources including solar and wind. In order to gain control of these new resources and maintain the supply and demand of electricity, utilities need to radically increase the number of control points in the grid through the use of Internet of Things (IoT) technology while minimizing security vulnerabilities presented by automation and interconnectivity. According to experts at Caltech’s Resnick Sustainability Institute, the U.S. electric grid is destined to become one of the largest and most complex cyber-physical systems in the world. Caltech goes on to highlight that this transformation presents both risks and opportunities to improve energy efficiency and robustness in the grid but also makes the system vulnerable to hacker infiltration and cyber attacks. Furthermore, recent network hacks such as the attacks on the Ukrainian power grid and the Bowman Avenue Dam in New York, where hackers entered and took control of key management systems, highlight the need for increased security and protection beyond standard firewall security measures, which have been proven to be less effective. Utilities are unable to rely on public wireless networks for data communications due to security and reliability vulnerabilities. Full Spectrum’s FullMAX technology allows the utility to create a completely private internet to manage millions of assets without ever connecting to the public internet. The creation of a fully private network using licensed spectrum, exclusive to the utility, eliminates contact with public networks and allows non-routable IP addressing with closed loop monitoring and control. Furthermore, the utility is able to control system up-time, the mean time to repair (MTR) and user access; factors that are beyond their control in a public network. Utility and engineering associations such as the Electric Power Research Institute (EPRI), the Utilities Technology Council (UTC), and the Institute of Electrical and Electronics Engineers (IEEE) along with industry leading utilities including Great River Energy, Pepco, Rappahannock Electric Cooperative and Idaho Power, among others, are supporting a new worldwide IEEE standard known as 802.16s, which supports the use of private networks over licensed spectrum for operational reliability and security. Full Spectrum has taken a leadership role in this standardization process including contribution of key intellectual property based on its patented FullMAX technology. Full Spectrum Inc. is a private network service provider that also designs, develops, manufactures, sells and supports its multi-patented, Software Defined Radio (SDR) technology. 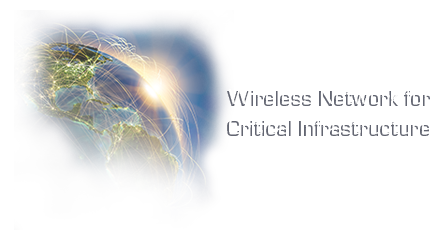 Mission critical industries including utilities, defense, oil & gas, and transportation companies can either subscribe to an existing Full Spectrum network or purchase and deploy the Company’s SDR technology for their own private broadband cellular network. Full Spectrum’s SDR technology supports IEEE 802.16s, the new worldwide standard for private wide area industrial networks.